Firstly, thank you to everyone how was kind enough to let us know how much they appreciated our Deadly Headly Bennett Memorial show. Generoso was fortunate enough to have met Deadly back in 1999, when Headley and trombonist, Vin Gordon were performing with Justin Hinds. Generoso and Headley got a chance to speak that night as Generoso was introducing the show at the Ocean Mist in Rhode Island. All three men were very kind and exceptional musicians. Thank you and respect to Vin, who is still with us and much respect to Justin and Headley for their kindness and great contribution to Jamaican music. By 1956, Byron Lee and the Dragonaires had established themselves as a professional working band that toured the hotel and nightclub circuit. Before these touring years, the Dragonaires performed mento, but in order to play professionally, like so many other bands, they performed versions of American soul and R&B hits. Within three years, the group decided to take a shot at recording, and in 1959, they visited Edward Seaga at WIRL’s studios to record their first single, “Dumplins.” This single was released on the band’s label, Dragon’s Breath, appropriately named in the tradition of the group’s name and, this is the label of our spotlight tonight, which will exclusively contains Jamaican Rhythm and Blues and Ska. 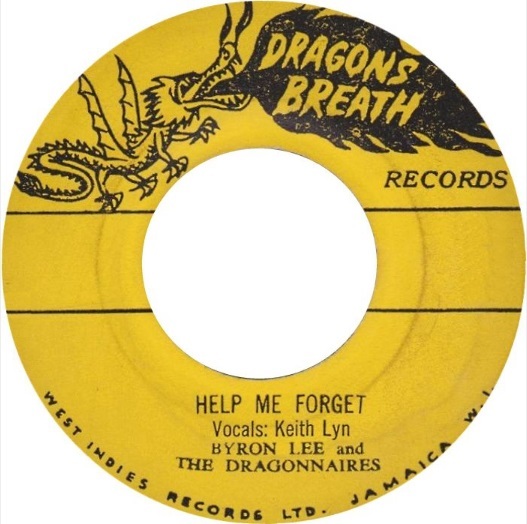 We kicked our label spotlight off with three tracks from the Dragonaires that were produced by Byron Lee himself, starting with “Dumplins,” the group’s recording debut. Dragon’s Breath was pretty short lived, with releases stopping in 1964. Interestingly, there was a bit of a gap in the label; no recordings were released in 1962. We do not know of the reason, but one could be that the label changed hands because by 1963, Prince Buster was the producer for the label and from that moment on out, we heard those Buster productions as he took the helm of the music released by Dragon’s Breath, including two from Eric Monty Morris which began the second set of the spotlight. Vincent ‘King Edwards’ began his career as a sound system operator with his brother George. Vincent traveled to America in 1954 and brought back records and the equipment for a sound system. Upon his return to Jamaica, Vincent and George opened up the Rock and Roll soundsystem, but the first dance did not go well, and Vincent and his brother George took some time to improve the soundsystem. Rock and Roll returned to the scene in 1956, and immediately started to be called the Edwards Sound. Shortly thereafter, King was added to the sound system name, emerging as the King Edwards soundsystem. Vincent would get exclusive records from artists in America, specifically Philadelphia where his sister lived and from the south where, giving the King Edwards soundsystem an edge that would append ‘The Giant’ onto the name. 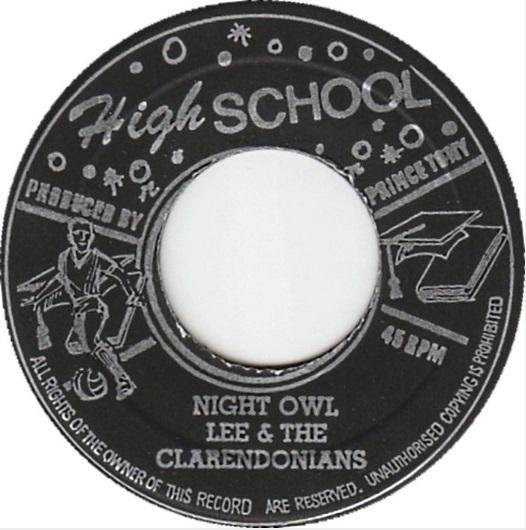 Like many other sound system operators, the Edwards brothers would play primarily American soul and R&B, but as the 60s arrived, they began recording acetates in Jamaica customized for his soundsystem, and that led to a natural transition into recording and releasing records for the public in the early 1960s. There is of course the flagship label that many know of: The King Edwards label, but here on the Bovine Ska, we wanted to spotlight a label that was the other part of the soundsystem name, and that is The Giant label. Vin and George Edwards were extremely active throughout ska, but the label stopped releasing records as rocksteady and by the early 70s the soundsystem completely closed it doors. A few factors played into this: Vin’s interest shifted toward on politics; he served as a Councillor and then became a member of parliament. He was also getting into horse training, which is something he still does today. George moved to the countryside of Jamaica, away from the city and the music scene. Furthermore, Vin was not a marijuana smoker (nor an alcohol drinker), and after a while the rampant smoking that would occur in the studios made the music business difficult for Vin. As the Bovine Ska veered towards its 20th Anniversary on June 14th, 2016, we decided to stay the course and do a traditional show (traditional for us) that you have heard these last twenty years. Our spotlight, which occurs midway through the show as always, was on Prince Tony’s reggaerific HIGH SCHOOL LABEL! The show began with two sets of superb rare ska beginning with a Maytals cut which has never before been played on The Bovine Ska, a gem from Toots from Rolando and Powie in 1963 entitled, Make Me Do. We are still celebrating Toots’ return to the stage this summer after a three year absence. Do check him out when he comes to your town! Starting our mento set was Harold Richardson and The Ticklers’ cover of Don’t Fence Her In on MRS in 1952 and we ended our first hour with a long set of rare rocksteady included a version to version on Studio One of Alton Ellis’ Mad Mad Mad. After that set we started on our thirty minute spotlight on Prince Tony’s High School Label. Prince Tony is the king of the deejays and the version, so this spotlight on the High School label had plenty of both! Known as Prince Tony as a producer, Tony Robinson began his production career in reggae. Many of his productions would make their way over to England, where plenty of his artists would see success. Though the High School label releases did get decent distribution through Trojan and Pama subsidiaries, Prince Tony’s production legacy is often tied to The Gladiators’ LPs Trenchtown Mix Up and Proverbial Reggae and Big Youth’s LP Dreadlocks Dread, so we are excited to show the brilliance of his earlier productions for the High School label. This spotlight has many major names in it, and we were excited to kick it off with one of the biggest deejays out there, Dennis Al Capone, here known as Young Al Capone and his recording “Girl Called Clover” and its version. One of the deejays that spent a lot of time at High School was Winston Scotland. Believed to be the brother in law of U-Roy, another fine deejay and an artist who also stopped by the High School label, Scotland got his start toasting over the selections at the Sound of Muzik and the Soul King sound systems. As a recording artist, Scotland worked with Joe Gibbs and Phillip Monroe before heading over to the High School label. At High School, Scotland recorded some of his best tracks, including “Buttercup,” which Prince Tony had great ambitions for with his licensing of the track over to the Philips label in the UK for major distribution. For our disco background for the first hour this week was The Tee Cee’s 1978 LP on AVI, Disco Love Bit and for the second hour, Barbara Mason’s Lady Love LP superb 1973 release on Buddha.